Sleek modern finishes married with vintage era charm is visually stunning and unique. I mixed various tiles, textures and finishes to give this master bathroom vanity in Denver a hip, edgy feel. 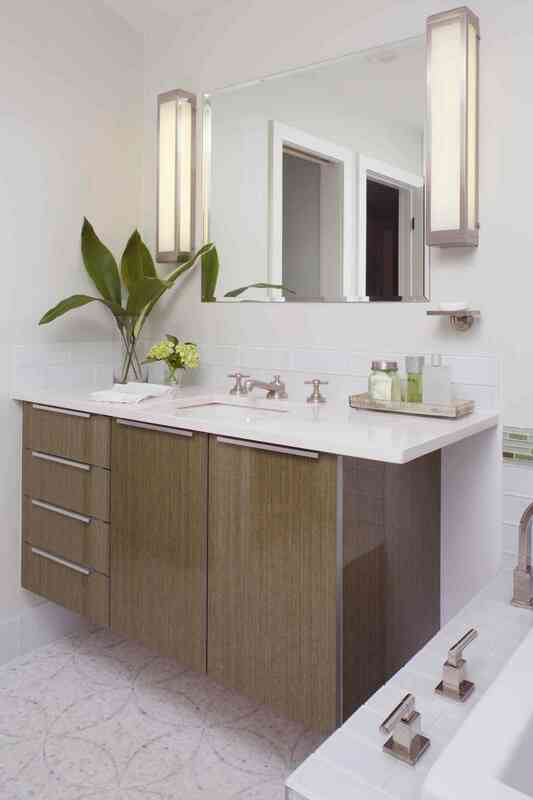 The cool cabinets are by kabi in Denver.